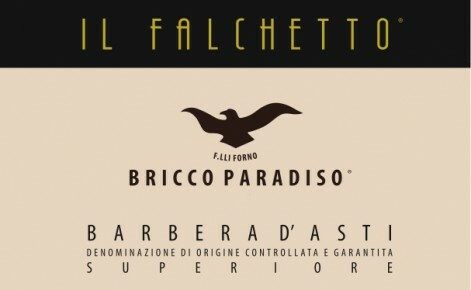 The Barbera ‘Bricco Paradiso’, produced only in the best vintages, is a real oenological pearl and one of the winery’s flagship wines. Bright ruby red, with scents of cherry, blackberry and raspberry, along with mint, spicy and coffee notes. Full and abundant with well-balanced acidity which makes it the perfect accompaniment to rich meat dishes, stews, game and aged cheeses. Harvest is done by hand in wooden crates not exceeding 15 kilos in weight so as to maintain the bunches intact. Destemming and soft pressing within 3 hours from harvesting. Fermentation in temperature-controlled stainless steel tanks with natural yeasts for approx 25 days. The wine is then drwan off the lees and transferred to French oak barriques. 14 months in French oak barriques (30% new) followed by 2 months in stainless steel. Bottled without filtration. It rests for an another 6 months in bottle at controlled temperature prior to being released to the market.